Hostel Calypso i Batumi, Georgia: Bestill nå! Hostel Calypso offers you comfortable stay in their hostel. 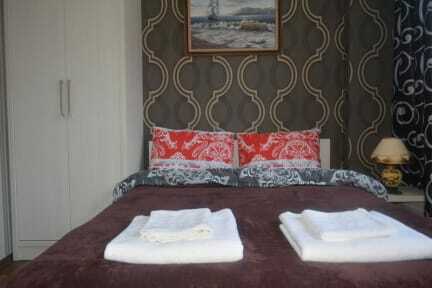 The hostel is situated in the heart of the historic old town and it is close to all amenities. 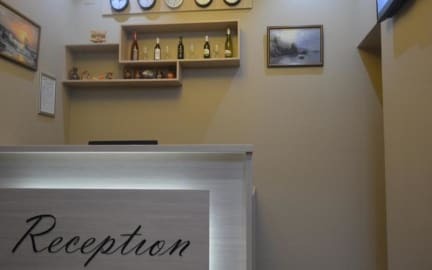 Hostel Calypso is located in the heart of the historic city of Batumi, a 5-minute walk from the seaside boulevard, the beach, the promenade and Piazza. Distance from the hostel Calypso to Batumi Train Station is 7 km to Batumi Airport - 12 km. Besides the common rooms in the hostel, so there are individual rooms are decorated in a classic style with warm colors. Each room has a flat-screen TV, air conditioning, heating, refrigerator, hair dryer, private bathroom with shower and free Wi-Fi. Guests can prepare their own meals in the communal kitchen. Within 5 minutes walk are a variety of cafes and restaurants.